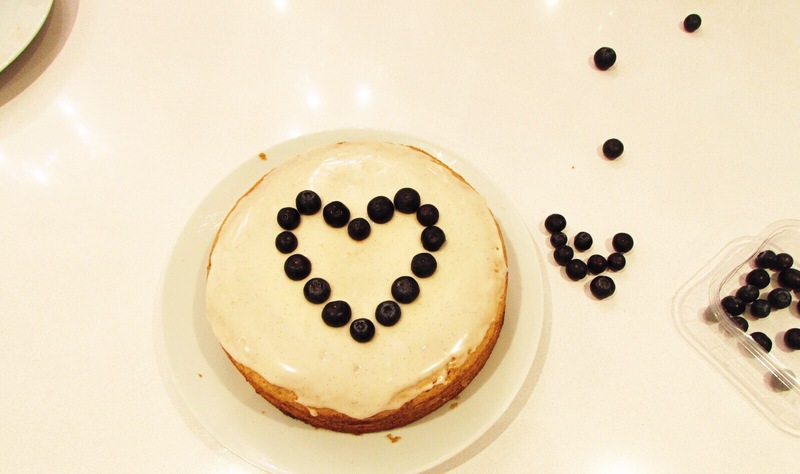 Sunday’s are one of my favourite days because I have the time to make yummy vegan cakes like this one! I find that healthy snacks can be quick and easy to whip up but when I take the time out to make a satisfying recipe like this one, I like to spend time getting it just right! Plus you need to factor in cooling-times. 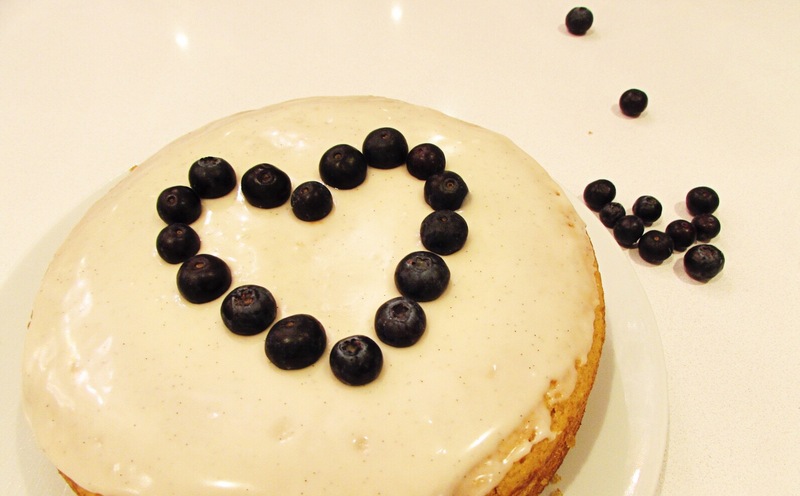 This nutritiously delicious recipe is filled with fresh, juicy blueberries and a hint of vanilla. 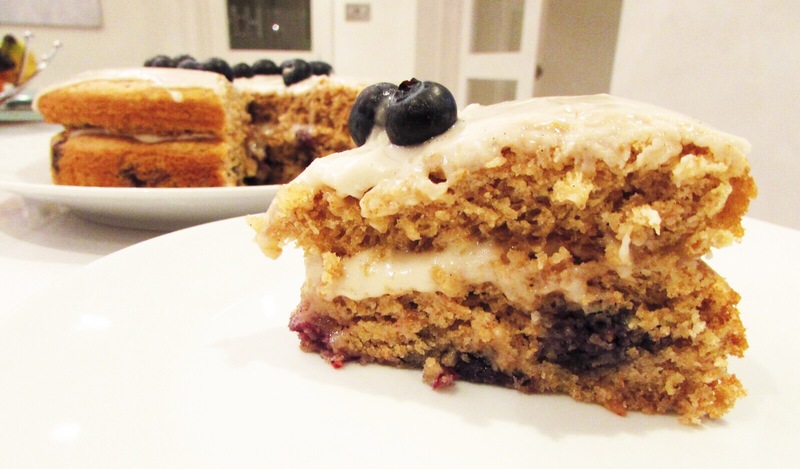 I have developed this recipe using plant based ingredients so that everyone can enjoy this yummy sponge! Unlike your traditional cake, this one is not only healthier, but lighter on your stomach, and won’t leave you feeling like you regret eating it (like a normal cake might do). It will also provide you with longer-lasting energy due to the fact that I used wholewheat flour instead of white. 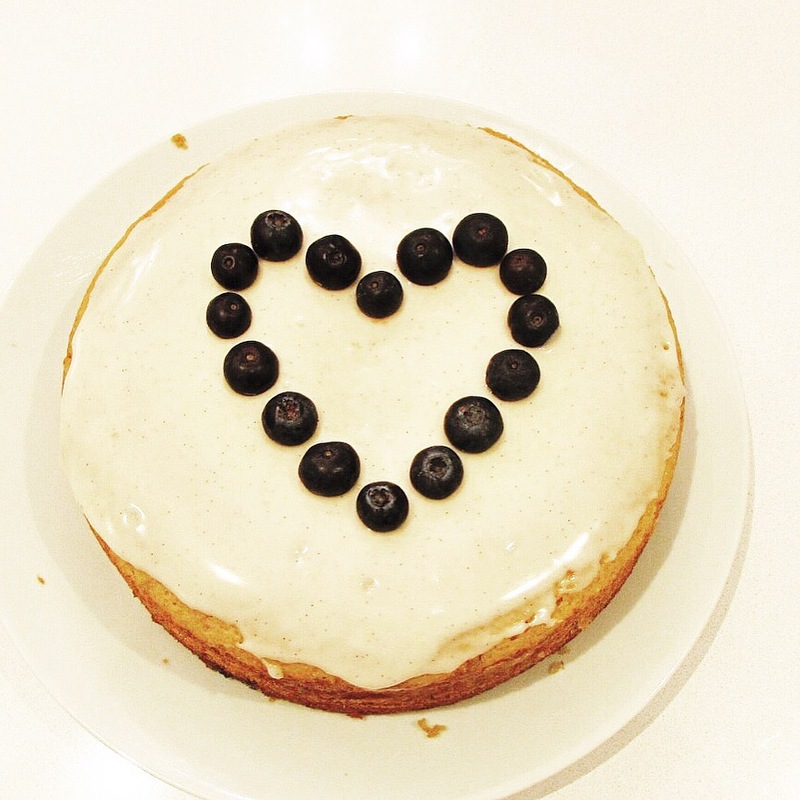 I used my vegan vanilla sponge recipe, but made a few changes. For one I altered the amount of ingredients I used, to make a sponge with more depth. I also took out the desiccated coconut and added fresh blueberries for a sweet fruity flavour. Furthermore, I tried out a new recipe for the topping using vanilla paste which was just divine as it added a real ‘vanilla-bean’ flavour. 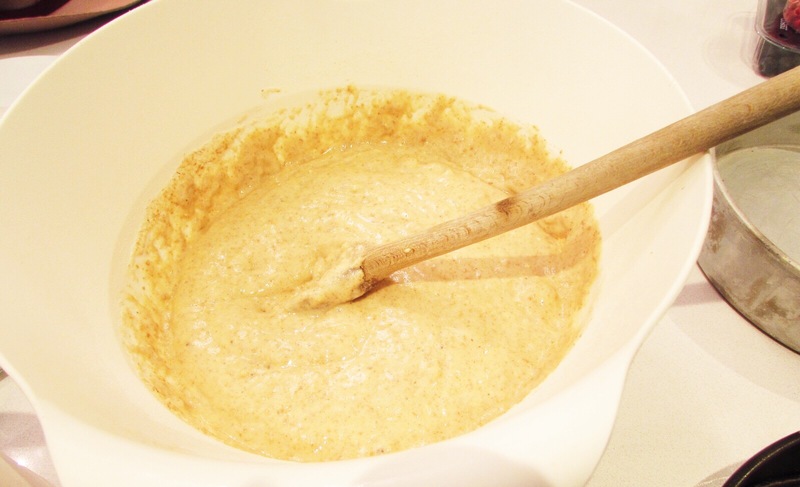 In a bowl, mix the whole wheat flour, sugar and baking soda. In a separate bowl, combine the coconut oil, soya milk, apple cider vinegar and vanilla extract. Pour the wet mixture into the dry mixture and mix until blended smoothly. Pour half the mixture into one of the prepared cake tins. Pour 200g of blueberries into the mixture that is left in the bowl. 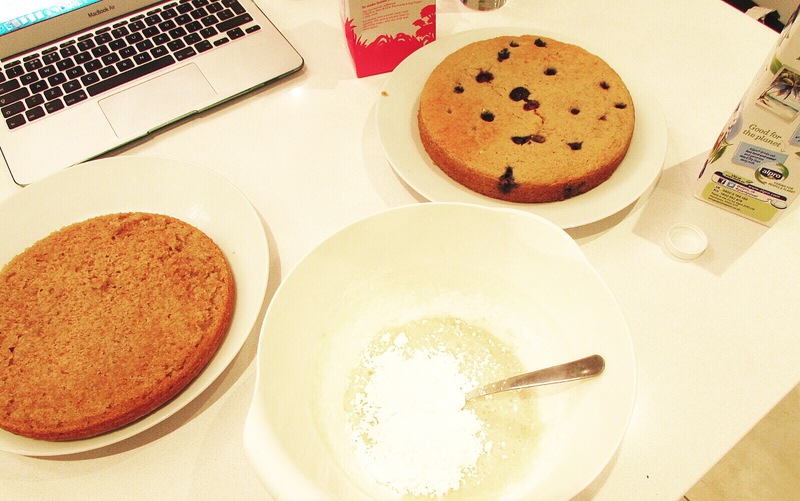 One you have mixed the blueberries in, transfer the mixture into the second prepared cake tin. Bake in the oven for 25 minutes and allow to cool completely before decorating. Combine all the ingredients in a bowl, adding icing sugar until you reach desired consistency. Spread half the mix for topping on one of the blueberry cakes and sandwich the second sponge on top. 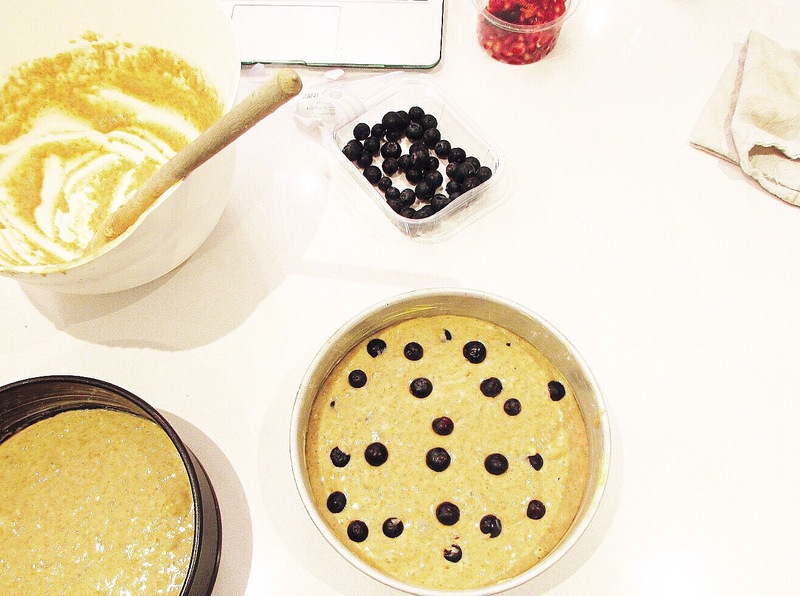 Spread the other half on top of the second layer and decorate with leftover blueberries. This is a vegan dessert is perfect to suit a variety of taste buds. 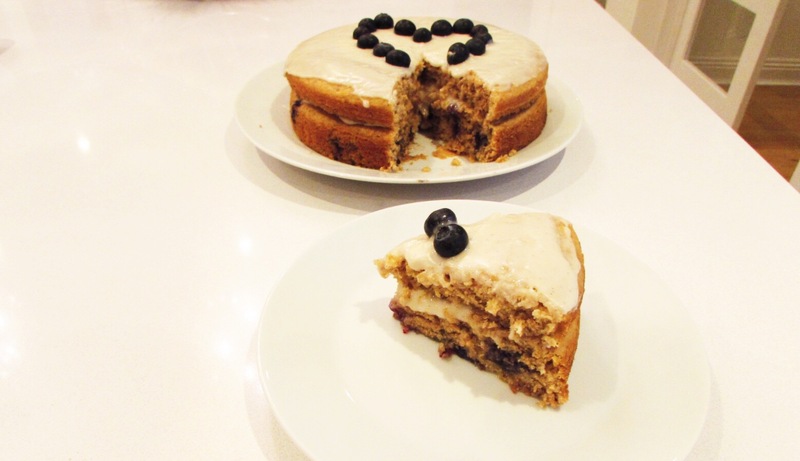 The ingredients used are suitable for a vegan diet and the dessert-cake speaks for itself- absolutely delicious!